77 822 deaths occurred among the youth in 2013 in South Africa, reported Stats SA. 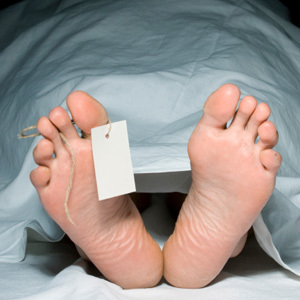 A student of the Federal Polytechnic, Bauchi, Auwal Shehu, has been found dead in front of one of the school’s hostel. Details of events that led to his death are still sketchy but a source said Auwal fell off the second floor of the hostel while reading at night. Another source, however, said the student slumped and died while returning to the hostel from one of the lecture rooms. The Deputy Rector of the institution, Sanusi Gumau, confirmed the incident, but dispelled the report that the student fell off the second floor. According to him, preliminary investigation showed no sign that the deceased fell off “a high-rise building”. "I got a call from one of the school cadets at about 5.30am on Tuesday informing me that a student was found dead in front of the boys’ hostel. "Our medical unit did a physical check on the student and confirmed that he had indeed died. "There is no truth in the report that the student slumped and died while returning from class in the night. He also did not fall off any high-rise building. Physical check showed no sign of injury; nothing,” he said. Gumau said the chief security officer of the school reported the incident at the Yelwa Police Division and investigation is ongoing.